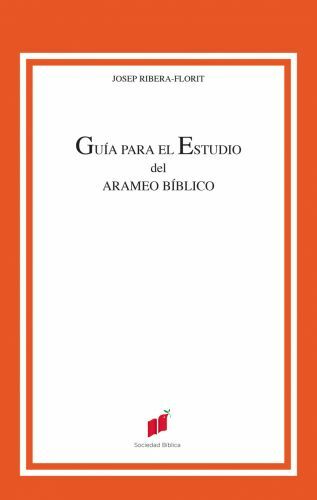 Second edition based on the book of the same title published in 2001 by the same publisher, Sociedad Bíblica. Edition especially aimed at students of Semitic languages. The book is a grammatical study of Classical-Official Aramaic and the Aramaic of the Achaemenid and pre- and post-Achaemenid eras (7th-2nd century BC). Also included are a glossary and a chrestomathy containing all the Aramaic texts of the Old Testament.